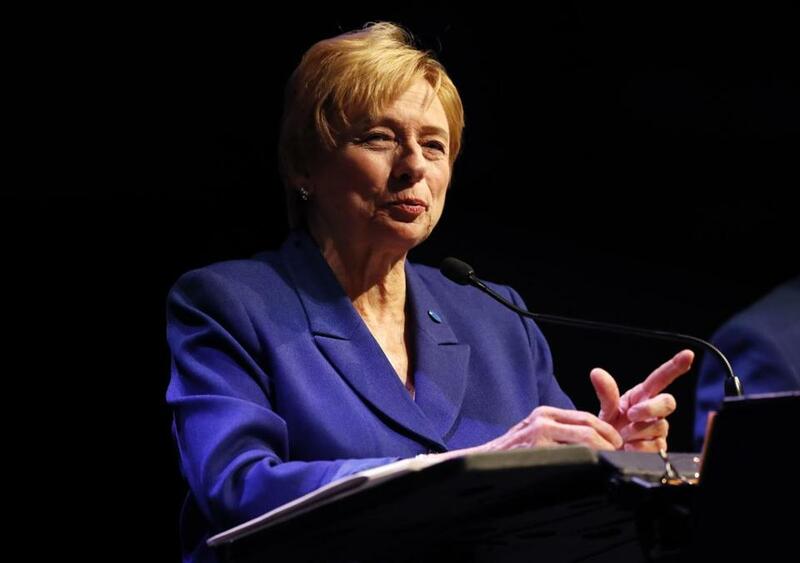 Maine Democratic gubernatorial candidate Janet Mills during a debate in Augusta on Oct. 17. Maine has had a stormy eight years of governance under combative conservative Paul LePage, whose tenure has been a long, vitriolic, veto-strewn battle with the Legislature. Nor have lawmakers been the only objects of disdain for the pugnacious governor, who won by a plurality in both his initial election (38 percent) and his reelection (48 percent). Frustrated with LePage’s repeated vetoes of bills to expand the state’s Medicaid program as allowed by the Affordable Care Act, last year Maine voters passed a ballot law mandating such an expansion. Yet though 59 percent of voters said yes to Medicaid expansion, which would help some 70,000 modest-income state residents get coverage, LePage has dragged his feet. LePage’s coarse brand of politics has echoed outside Maine, and presaged the election of Donald Trump. That history has drawn larger-than-normal national attention on the race to succeed LePage, who cannot run again because of term limits. 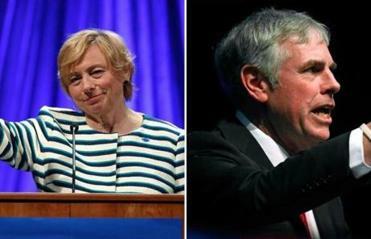 The best choice is Democratic nominee Janet Mills, now the state’s attorney general, who is in a close race with Republican Shawn Moody, founder of a well-known auto body shop franchise. At recent gubernatorial forums in Bangor and Augusta, Mills displayed a stronger commitment to expanding health care and a deeper understanding of the needs of this sprawling, economically challenged state. And no wonder: Mills’s broad public sector experience — she has also been a district attorney, a state prosecutor, and a state representative — gives her a much greater policy bandwidth than Moody. Swing state Maine features a pair of races that highlight the region’s most competitive down the stretch. In Maine, the AG is elected by the Legislature; her repeated selection signals the esteem Mills’s legislative colleagues have for her. As the people’s lawyer, she earned LePage’s ire both by joining a multi-state lawsuit to block the Trump administration’s anti-DACA effort and by declining to represent LePage’s administration when she thought his position had no legal merit. Mills has promised to move quickly to expand Medicaid, suggesting that the state use, as a down payment, $35 million from a tobacco settlement she negotiated. She would push hard for broadband for rural areas, for a transition to cleaner energy, for a better-funded school system, and for red-flag gun legislation. And, she stressed, in an interview with the Globe, that she would do so in a bipartisan way. During the primary campaign, Moody said he “did not support the Medicaid expansion and would fight to repeal it.” Although he now says to he would implement the voter-passed law, his various funding caveats and conditions are a page from LePage. Queried by the Globe on his primary statement about repealing the law, Moody claimed outside attack groups had distorted his stand; if so, they must have surreptitiously seized control of his tongue. On an issue with broad regional ramifications, Moody seems slightly more favorably disposed toward Central Maine Power’s plan to build transmission lines through western Maine to bring Canadian hydropower to the New England grid. Mills has not formulated a firm position, but notes that Central Maine has promised $50 million for Massachusetts’ low-income ratepayers. “There better be a real good quid pro quo for the state of Maine,” she added. The independent candidate, state Treasurer Terry Hayes, hasn’t gained much traction. Even so, because Maine’s ranked-choice voting won’t apply to the November gubernatorial election, votes for her could saddle the state with another plurality-vote governor. The real race here is between Mills and Moody — and Mills’s broad experience and pragmatic agenda make her the clear choice for Maine.